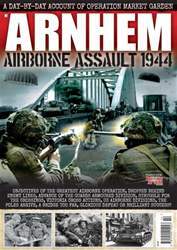 In September 1944 British and American troops undertook the largest and most ambitious airborne assault ever mounted. Their objective was to capture the bridges over the Maas, the Waal and the Lower Rhine. If successful, Allied forces would be able to drive over the bridges into Germany and bring the war to a rapid conclusion. All the river crossings were taken except the bridge over the Lower Rhine at Arnhem, where British paratroopers staged one of history’s most remarkable last stands against overwhelming odds, made famous in the film A Bridge Too Far. Yet exactly what happened on those nine fateful days in September 1944 is far less well known. Here we tell the dramatic story of Operation Market Garden, as it unfolded, day-by-day, battle-by-battle.